Mr. Stallworth is the managing partner of The Stallworth Legal Group, LLC ("TSLG"), a law firm providing a wide range transactional advice to clients in a myriad of areas, principally real estate and lending; and if offers targeted advice in limited litigation matters and employment matters (including through affiliated law firms). After graduating in 1990 from the University of Wisconsin Law School, Madison, Wisconsin, Mr. Stallworth joined the Commercial Real Estate Practice at Sidley Austin, LLP, in Chicago after having completed a summer associate clerkship at Sidley during 1989. As did 100 or so other eager 1989 summer associates, Stallworth served aside the person who would become the 44th President of the United States of America, Barack Obama, and his soon-to-be wife and First Lady, Michelle Robinson. Stanley practiced at Sidley for 24 years performing a vast array of work for large corporate clients. He focused on construction and development of real estate. Stallworth was very active in firm activities and initiatives and won several awards for his policy work in the area of diversity and inclusion. While battling a life-threatening blood clot in his brain and while fighting the sexual assault charges discussed at great detail in other parts of this website, Stallworth retired from Sidley Austin, the only firm at which he ever worked. Stallworth has been a member of the Illinois and Alabama State Bar Associations for 26 years. He is admitted to practice before the US Federal Court. He is a proud alumnus of Alabama A&M University, an historically Black university in Normal, Alabama, where he majored in English and biology. He taught both of those subjects in high school in his hometown for two years (1985-1987) before commencing law school.Mr. 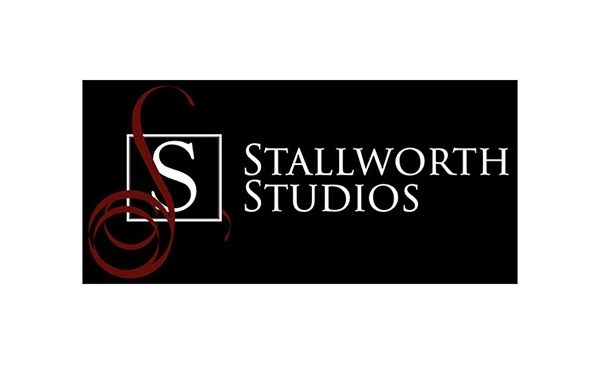 Stallworth's practice is a general real estate practice and he has performed legal work for companies of all sizes and in nearly every aspect of real estate. His specialties are the areas of acquisitions and dispositions of real estate, the construction and development of real properties, the planning, designing and development of cellular towers and network operating centers, and the leasing all types of properties (for both tenants and landlords). He also has substantial experience in commercial real estate lending. in Evergreen. Along with his Sister, B. Joyce Stallworth, he owns and operates The Brundidge of Bruner, a premier events space and bed and breakfast housed in a mansion built in 1917 in Evergreen, which the pair has themed "Old South Meets New South!" Several pieces of the artwork adorning the walls of The Brundidge are Stallworth's original creations, or derive from his collection of original artwork which he commenced in 1981. Recently, Stallworth has accepted a limited number of medical malpractice and automobile liability cases in Alabama, and he is working on probating several estates. He also represents a few clients in connection with their oil and gas rights in the mineral-rich Conecuh County, Alabama. He has also represented clients in the area of employment law and has handled cases before the Equal Employment Opportunity Commission. During his 27 years of practice, Mr. Stallworth has been a pioneer in the area of law firm diversity and inclusion and many of his efforts have been directed toward improving opportunities for diverse lawyers in the legal profession generally. While at Sidley, Stallworth served as Co-Chair of the Firmwide Diversity Committee creating innovative recruitment initiatives and retention programs for diverse lawyers. He was a prolific recruiterSince his departure from Sidley, Stallworth has continued to speak on diversity programs and CLE programs, including a program during 2016 in Lausanne, Switzerland at the Worldwide Headquarters of Phillip Morris International. He continues to be a mentor for law students and young lawyers. Stallworth is a life-long member of Second Mt. Zion Baptist Church in Owassa, Alabama. He is active in his community and he is a proud member of Alpha Phi Alpha Fraternity, Incorporated.